Today I'm pleased to kick off the Bubonic Panic blog tour! 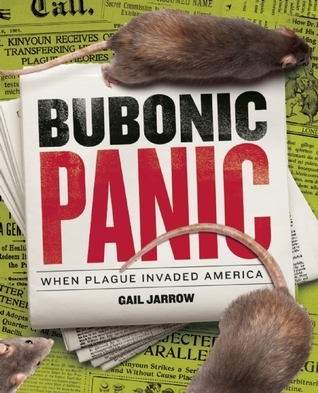 Gail Jarrow rounds out her "Deadly Diseases" trilogy with a riveting account of how the plague came to the United States at the turn of the century. Using the perfect blend of history and science, Jarrow provides readers with an overview of how the plague spread through parts of Asia and Europe in the middle ages during the First and Second Pandemics. The story then shifts to San Fransisco where residents of Chinatown were dying from a mysterious disease that caused fever, aches, vomiting and buboes (swelling of the lymph nodes) between 1900-1908. Jarrow takes readers into the field as bacteriologists and health officials work to stop the spread of the bubonic plague despite the attempts of San Fransisco business owners and politicians to downplay and cover up the epidemic. Middle grade and teen readers will be amazed to learn how long it took for officials to focus on rats and fleas as the cause of the plague. Jarrow also describes the racism that residents of Chinatown faced as they were forced to be quarantined during the pandemic. The design of the book is excellent. Primary documents, illustrations and photographs give readers a sense of how serious the outbreak was in the U.S. without disrupting the flow of the narrative. A considerable amount of research went into writing the story, which is rich in the use of quotes and details that paint a vivid picture for readers. 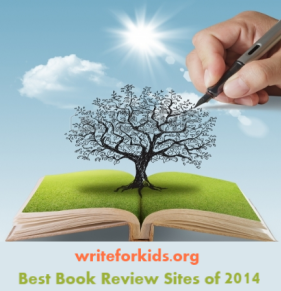 A five-page bibliography lists the many resources the author used. Jarrow also consulted with a doctor from the Centers for Disease Control and experts in the fields of entomology and pest management. Some readers will be surprised to learn that rodents such as squirrels still carry the plague and infect 1,000 to 4,000 people each year. Bubonic Panic is an exciting nonfiction story that tweens and teens won't be able to put down. It could be used as a text for a disease unit in a middle school science class or pair Bubonic Panic with the middle grade novel, Chasing Secrets by Gennifer Choldenko. You can read more about Gail Jarrow's "Deadly Diseases" trilogy on the Teachingbooks.net site. Be sure to visit these other stops on the Bubonic Panic blog tour. One winner will receive a copy of Bubonic Panic. Click here for the entry form or enter below. Entries will be accepted until 11:59 p.m. EST on May 20, 2016. The reviewer received a review copy of the book to write this review. Great kick-off post for the week of blog-tour. Sounds like a fascinating book! I loved Jim Murphy's book about yellow fever in Philadelphia in the early part of our country's history. This seems like a great addition to my library! There are still instances of bubonic plague here and there in the US, but I think it's fairly easily treated these days with antiobiotics. Looks like a fascinating read! It's been on my radar, but I haven't yet gotten to it. Too many books, too little time!! I'm excited to read this book! I have a Book Club reading Fever 1793 and it would be a good follow up!